Capital Hotel’s premier and only hotel, the Sheraton Abuja Hotel, commenced business in January 1990. The hotel operates and maintains restaurants, apartments for letting, recreational facilities, night club and a business centre. Sheraton Abuja Hotel is the connectivity hub of our lobby experience, allowing guests to work, relax, socialize or grab a snack. As the connectivity hub of our lobby, guests can surf the Web, watch a game with friends, borrow a magazine or newspaper, or even send a video postcard to friends and family. The Company was incorporated on 16th January, 1981, under the Companies Act, 1968 as a private limited liability company. It was converted to a quoted company in 1986 but was removed from the dealing list by the Stock Exchange in 1990. The Company regained its listing status on Thursday August 14, 2008 and has since remained a quoted public company listed on the floors of the Nigerian Stock Exchange. Capital Hotels Plc is engaged in hotel business which includes furnishing of hotels and the sale of accommodation; food and beverage in the ordinary course of business. Mission Statement: To delight our guests through excellent service delivery while creating value for all stakeholders. Chief Anthony Idigbe, SAN was elected a Non-Executive Director of Capital Hotels Plc with effect from 30th June, 2017 and subsequently elected Chairman of the Board on 7 July, 2017. A seasoned legal practitioner with over 30 years experience, Chief Anthony Idigbe is the Senior Partner at Punuka Attorneys & Solicitors, a fully integrated and multi-dimensional business law practice with offices in Lagos, Abuja and Asaba, Nigeria and member of Lawyers Associated Worldwide (LAW), a global association of over 95 independent law firms located in more than 50 countries around the world. He was elevated to the rank of Senior Advocate of Nigeria in 2000 and was recently admitted to practice law in Ontario, Canada. He has advised clients on several complex transactions and has represented major companies and institutions in the highest courts of Nigeria. He is a well-known capital markets legal adviser and has advised and acted as Counsel to the Securities & Exchange Commission. He has also been involved as lead counsel in many ‘big ticket’ litigation briefs such as the Kano Trovan Clinical Trial Cases. He also possesses wealth of knowledge and experience in Telecommunications Law particularly the workings of the Nigerian Telecommunications Industry, having represented numerous clients in various telecommunications disputes. He has extensive experience in insolvency and restructuring, and has acted as counsel to several ex-bank executives in a continuous flow of civil and criminal cases arising from the 2009 Central Bank intervention and restructuring in the banking sector. Chief Anthony Idigbe graduated from the University of lfe, (now Obafemi Awolowo University), Ile-Ife in 1982 with a 2nd Class Upper Degree (Hons). He also received the Hon. Justice Orojo Prize for the Best Student in Company Law. He finished from the Nigerian Law School, Lagos in 1983 also with a 2:1. He has three Masters of Law degrees from the University of Toronto, Canada (2015), the Robert Gordon University (RGU), Scotland, UK (2012) and the University of Lagos, Akoka (1988); MBA from the Enugu State University of Science and Technology (ESUT) Enugu (1997); Diploma in Advertising from Advertising Practitioners Council of Nigeria (APCON), (1999), and was Lecturer, ESUT Business School, Enugu between 1999 and 2009 and APCON from 2000 – 2002. 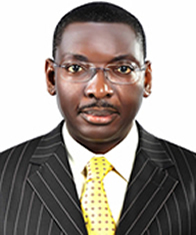 Anthony Idigbe was appointed in 2017 as the Chairman of the NBA Legal Profession Regulation Review Committee; in 2016 as Chairman of the committee set up by the Securities & Exchange Commission (SEC) to review some legislation/bills relating to Anti-trust and Competition in Nigeria; in 2013 as the National Coordinator for Nigeria, World Bank Global Forum of Law, Justice and Development Project on Treatment of Shareholders’ Rights in Insolvency of Companies (2013 to 2014); in 2012 as Member of the Petroleum Revenue Special Task Force set up by President Goodluck Ebele Jonathan, to mention a few. He is the interim Chairman of Ikeja Hotels Plc, owners of Sheraton Hotel lkeja, Federal Palace Hotel Victoria Island and Sheraton Hotel Abuja. He is a Fellow of the Chartered Institute of Arbitrators, UK; Insolvency International and the International Bar Association. He is also a member of the Institute of Directors and the International Insolvency Institute. He is the immediate past President of the Business Recovery and Insolvency Practitioners Association of Nigeria (BRIPAN). He was the Founder and first Chairman, Capital Markets Solicitors Association (CMSA), and now functions as a Trustee of the Association. He has also served on various arbitration panels and is presently a member of the ICC Arbitral Panel. He is a Notary Public, author of many published books and articles, and a renowned resource person. Barr. Chuma Anosike – He is a legal practitioner with over 25 years’ post-call experience and Managing Solicitor of the law firm of Chuma Anosike & Co. He has business interests in Hospitality, Real Estate and Oil & Gas and is currently the President of the Nigeria Kenya Chamber of Commerce among other interests. He serves as a member of Purchase Committee and Business, Finance and Governance Committee of the Board. 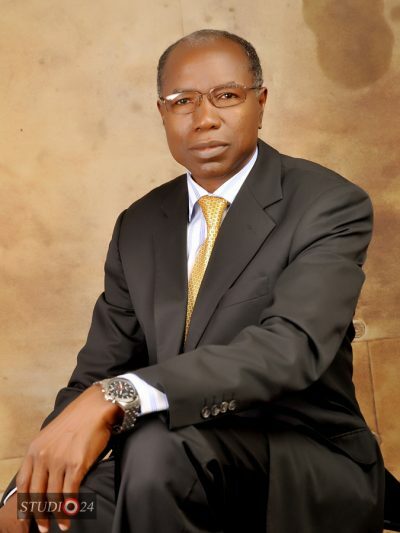 Alhaji Abatcha Bulama is a seasoned Chartered Accountant with over 30years experience, Alhaji Abatcha Bulama is a Fellow of the Institute of Chartered Accountants of Nigeria and the Managing Partner of Alhaji Abatcha Bulama & Co. He is also the Ag Executive Commissioner, Operation and Director, Finance and Accounts of the Securities and Exchange Commission, Abuja. Alhaji Abatcha Bulama graduated from the Ahmadu Bello University Zaria in 1981 with BSc Accounting and has attended several courses and seminars including International Financial Reporting Standards (IFRS) by ICAN (2012), Executive Leadership: Realizing the Power of Influencing and Delivering Change Course organized by Crown Agents, United Kingdom (June 13-24, 2011), Specialist Management Development Programme – Senior Managers of the Securities and Exchange Commission, Kuala Lumpur, Malaysia (May 10-21, 2010), Capital Markets: Development and Regulation organized by the International Law Institute (Ill), Washington D.C. in cooperation with Georgetown University, USA (November 6-20, 2009), Key Account Management Course organized by Lagos Business School (LBS) (August 10-14, 2009), among others. 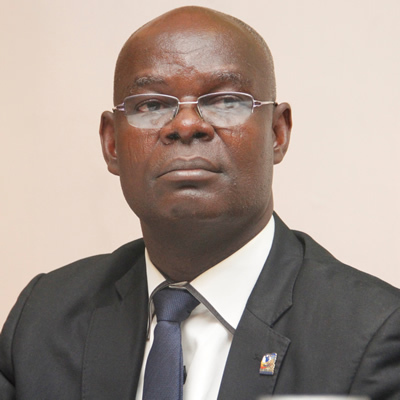 He has served in several Boards including SEC Pension Fund Board of Trustees, Institute of Directors (IoD) Centre for Corporate Governance, Certified Pension Institute of Nigeria and Financial Reporting Council (FRC). Barr. 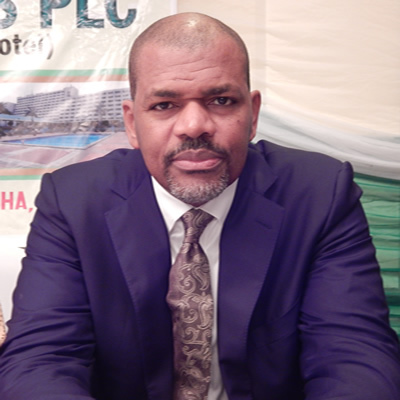 Akpofure Ibru was elected a Non-Executive Director of Capital Hotels Plc with effect from 30th June, 2017. 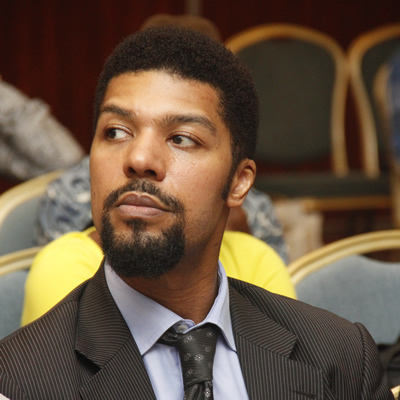 Mr. Akpofure Ibru holds an LL.B from Edo State University 1994, and was admitted to the Nigerian Bar in 1995. His extensive experience in commercial negotiations, company promotional and project implementation spans nearly two decades. 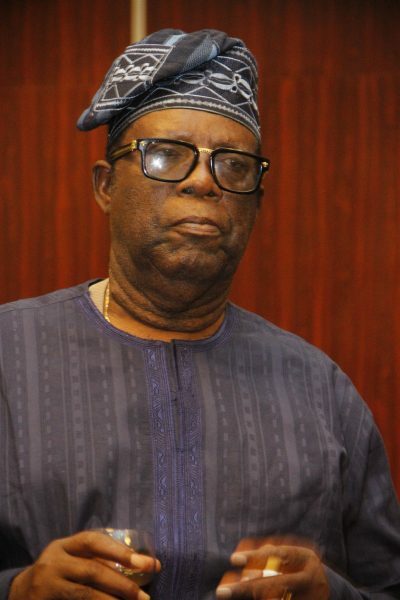 He has served in various management capacities in Ikeja Hotel Plc Group. He also serves as a non-executive director on the boards of several Nigerian companies. A keen Rotarian, he can often be found donating his time, skill and experience to the less fortunate in society. 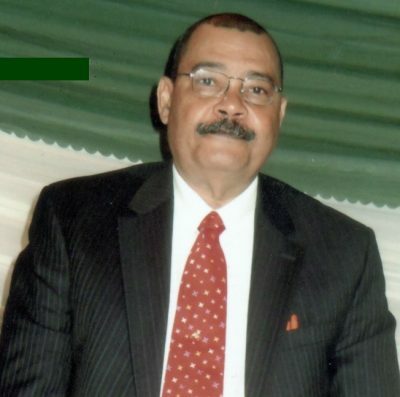 Chief Nicholas Eghre Dortie, is a fellow of the Chartered Institute of Bankers, London, worked in the Central Bank of Nigeria for 20 years before retirement. He has interest in diverse sectors of the economy including real estate, general merchandising, crumb rubber processing for export etc. Dr. Alexander Thomopulos, Nigerian, is a product of Government College, Ughelli, Delta State, Nigeria (1964). He is an Environmental Health Scientist, with B.A., M.Sc, Ph.D degrees from the University of Kansas, USA. (M.Sc. & Ph.D. degrees in Environmental Health Science), coupled with post-doctoral certificates from other institutions. Highlights of his careers include the following: Director of several Companies, including the following: Guardian Newspapers Limited, Oma Investments Limited, Alururn Investments Limited, RFC Limited, Dadifoll Limited, Omamo Trust, Ikeja Hotel Plc. He led a team of experts who worked for the successful realization of the famous Agbara Estates Limited, a mini-town with all modern infrastructures along Badagry Expressway, Lagos. A combined total of over 40 years of cumulative experiences in the environmental field. Research Assistant/Research Associate at the University of Kansas (USA) Research Scientist at E. I. Du Pont de Nemours and Company (USA). Private Environmental Consultant, and one of the private consultant pioneers in the field in Nigeria. A Nigerian Environmental Society Laureate for recognition of efforts in the development of the society. (First award of the society to an individual). Fellow of the Nigerian Environmental Society FNES. One of the founding ‘fathers’ of the Nigerian Environmental Society (NES). Established the long-standing award known as “The Thomopulos Environmental Award”, normally awarded during international seminars on the Petroleum Industry and the Nigerian Environment. Recipients of such awards have included Shell Petroleum Development Company of Nigeria, The Petroleum Inspectorate (of Nigeria, now Department of Petroleum Resources (DPR), Dr. Jerry N. Nwankwo, of Nigeria and Dr. Jacqueline Mitchell, of Research Planning Institute, Inc., USA, to name a few. One of the key private environmental consultants to participate on Discussions on The Dumping of Toxic Wastes in African Countries, organised by the Nigerian Institute of Advanced Legal Studies, University of Lagos, with recommendations to the Federal Government of Nigeria. Personally been to more than twelve (12) River mouths (from Forcados River, in the West, to Bonny River, in the East) of the Niger Delta of Nigeria to conduct major environmental studies, for some major oil companies in Nigeria. Has conducted several Environmental studies in USA and Nigeria, with more than 30 publications in the Environmental field. Mr. Toke Alex-Ibru was elected a Non-Executive Director of Capital Hotels Plc with effect from 30th June, 2017. A History graduate from the University of Exeter in 2002. Mr Toke Alex-Ibru specialised in Media Development in Nigeria with over 10years of commercial experience in Publishing, 3years in hospitality management and determined to forge a career in the Media, Hospitality and Entertainment in Nigeria. He is motivated and energetic with diverse work experience gained across a number of fields. He is also a Director of several companies including Oma Investment Ltd., Alurum Investment Ltd., RFC Limited, Dadifoll Limited and an Executive Director of the Guardian Newspaper Ltd, Nigeria. Mr. Robert Itawa was also elected as the new Executive Director of the Company with effect from Friday 28th April, 2017. Mr Robert Itawa was born on August 23, 1959 in Okwagbe, Ughelli South Local Government Area of Delta State. He holds a Bachelor of Science Degree in Accounting from the University of Lagos. He also holds a Master of Science Degree in Finance from the University of Benin and a Fellow of the Institute of Chartered Accountants of Nigeria. Mr. Itawa is a Management Trainer certified by the Centre for Management Development. Until the recent appointment, Mr. Itawa has being the General Manager of the Hotel and manages the interface among the Hotel Managers, the regulatory agencies and the Board of Directors to ensure harmonious operations. Before joining Capital Hotels Plc, Mr. Itawa had worked with several organizations. 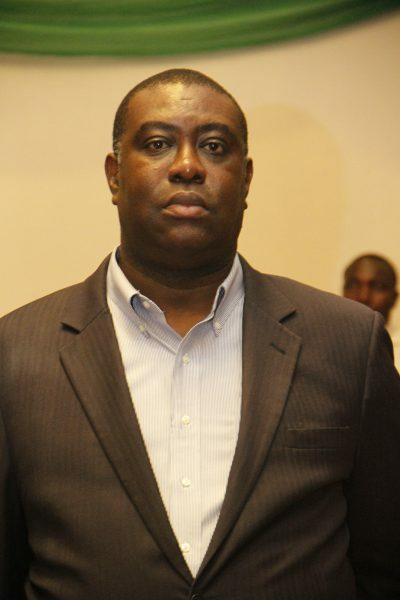 He was in charge of corporate strategy & Finance with the National e-Government Strategies Limited (NeGst); Deputy Managing Director of Ijewere Consulting Ltd; Financial Controller in Buidwell Plants & Equipment Ltd; General Manager, lrongate Finance & Trust Company Limited, Senior Consultant, Materials Management Services Limited (MMSL among other organizations. Mr. Itawa is a member of the African Peer Review Mechanism for the Second Peer Review of Nigeria. Mr. Itawa is an alternate member and Executive Assistant to the Co-Chairman of the African Business Roundtable as well as NEPAD Business Group Nigeria (the private sector arm of NEPAD, NIGERIA) and NEPAD Business Group West Africa. Mr. Robert Itawa is married to Josephine Ese Itawa and they are blessed with children. Mrs. Helen Nneamaka Da-Souza is the Managing Director/Chief Executive Officer (MD/CEO) of Trustfund Pensions Limited. She joined Trustfund Pensions Limited as Director, Finance and Administration in 2010 and rose to the position of the MD/CEO in 2013, after holding the position in acting capacity between 2011 and 2013. Before joining Trustfund, she was an Associate Director at Akintola Williams Deloitte. 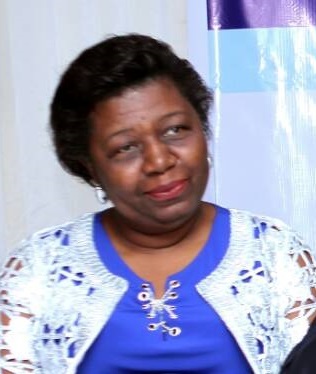 She joined Akintola Williams Deloitte as a Trainee Accountant in 1985, and grew through the rank to the position of Associate Director in 2009, a position she held before joining Trustfund Pensions Limited in 2010. She attended the University of Nigeria, Nsukka, where she bagged a B.Sc in Accountancy in 1984. Mrs. Da-Souza has attended and delivered papers at several conferences both at home and abroad on Taxation and Accounting. Mrs Fadeke Olugbemi (formerly Fadeke Alamutu) is an experienced business executive with over two decades of work experience. She currently heads the Investment & Portfolio Management unit of Honeywell Group Limited where she has oversight for the professional management of the multi-million dollar Assets & Equity Investment Portfolio. Prior to assuming her current role, she was the pioneer Financial Controller at Telec Ltd (London & Lagos offices), Head, Finance & Treasury at the Honeywell Group head office, Investment Manager at Metropolitan Trust Nig. Ltd. Over the course of her career, she has garnered expertise in diverse areas of management including Financial & Risk management, Investment, Treasury and Performance management. 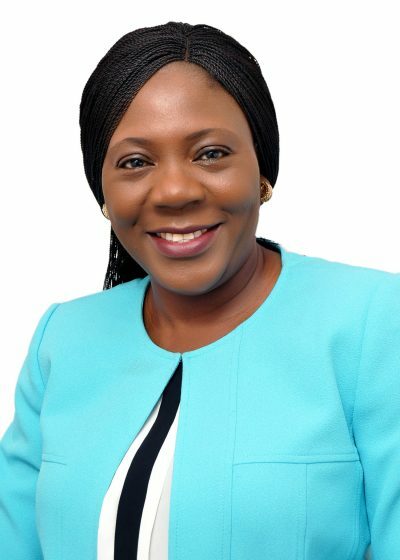 She currently serves as a Non-Executive Director on the Board of FBN Bank Guinea SA, a subsidiary of First Bank of Nigeria Ltd. Fadeke is a Fellow of the Institute of Chartered Accountants of Nigeria and holds a Master’s Degree in Business Administration (MBA) from Aston Business School, Aston University, United Kingdom where she was awarded the Aston Business School MBA African Scholarship. In the course of her MBA programme she had a brief stint at IBM UK & Ireland where she researched how Social Media impacts B2B organisations with focus on how social media could create value for IBM UK & Ireland. She obtained a Bachelor of Science Degree in Accounting from the prestigious Obafemi Awolowo University, Ife. Fadeke enjoys cooking and listening to music. She is a happy mother of two.